CONCORD, Mass. 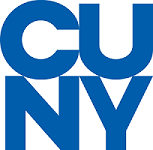 - June 27, 2018 - PRLog -- The Open Education Consortium (OEC) is pleased to announce the addition of a new sustaining member, The City University of New York (CUNY). CUNY's Office of Library Services (OLS) leads the effort at three community colleges to transform degree programs through Achieving the Dream's OER Degree Initiative. All the courses in the degree pathways have been redesigned to replace traditional commercial textbooks with open educational resources. Founded in 1847, the City University of New York is the nation's leading urban public university serving more than 275,000 degree-seeking students. The University comprises 24 institutions: 11 senior colleges, seven community colleges, William E. Macaulay Honors College at CUNY, CUNY Graduate Center, CUNY Graduate School of Journalism, CUNY School of Law, CUNY School of Professional Studies and CUNY Graduate School of Public Health and Health Policy.